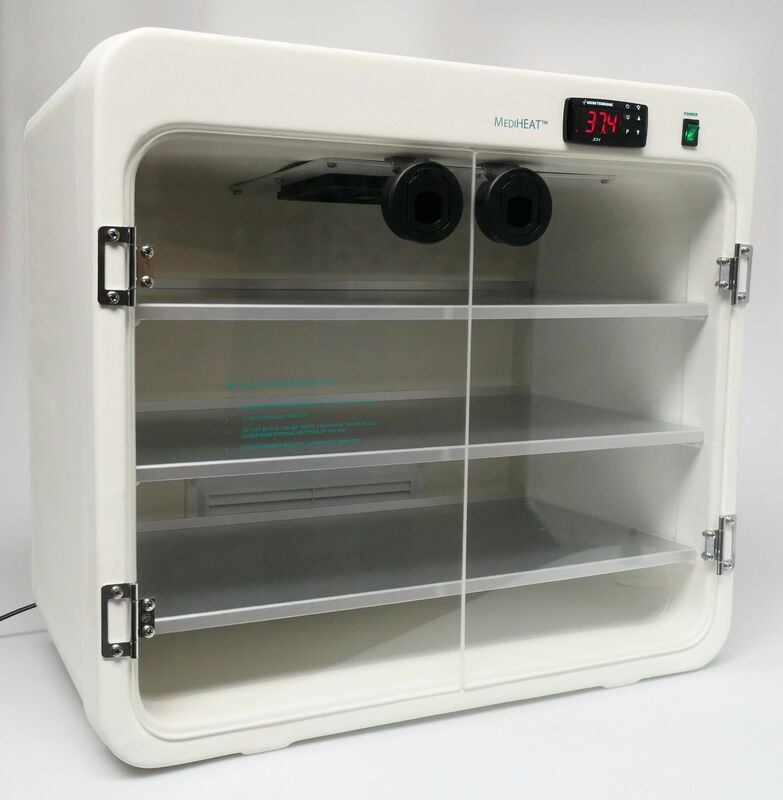 IV fluid warming cabinet for Accident & Emergency departments, Theatres, CT Scanner Contrast Fluid Warming, Bodyjet fluids etc. Holds up to fifteen 1 litre fluid bags or equivalent. Accurate temperature control via electronic thermostat, and LCD thermometer. Overtemperature protection to ensure bags cannot overheat.